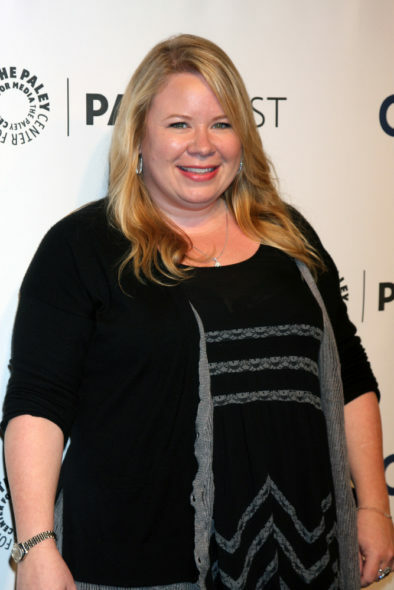 With The Vampire Diaries approaching its eighth and final season, co-creator Julie Plec, and co-executive producers Chad Fiveash and James Patrick Stoteraux are developing Rise, a new series for The CW and Warner Bros. Television. Deadline reports Rise is a martial law drama, set after a terrorist attack. The trio first worked together on teen sci-fi drama, Kyle XY, which was cancelled after three seasons on ABC Family (now Freeform), in 2009. Fiveash and Stoteraux went on to Legend of the Seeker, which was cancelled in 2010, after two seasons in first-run syndication; Glory Daze, which was cancelled after one season on TBS; and Switch at Birth, which too has been cancelled. Its fifth and final season will premiere on Freeform in January. The writing partners left Switched and boarded The Vampire Diaries beginning with its sixth season, in 2014. Plec created The Tomorrow People reboot which was cancelled after one season on The CW. Her quarantine drama series, Containment was also cancelled after its only season, but she still has The Originals season four, and The Vampire Diaries season eight on that network (and her plate). What do you think? How do you like the sound of the potential new Rise TV series? Which of this trio’s TV shows have you watched? More about: Containment, Containment: canceled or renewed?, Glory Daze, Glory Daze: canceled or renewed?, Kyle XY, Kyle XY: canceled or renewed?, Legend of the Seeker, Rise, Rise: canceled or renewed?, Switched at Birth, Switched at Birth: canceled or renewed?, The CW TV shows: canceled or renewed?, The Originals, The Originals: canceled or renewed?, The Tomorrow People, The Tomorrow People: canceled or renewed?, The Vampire Diaries, The Vampire Diaries: canceled or renewed? You want a hit martial-law show? Find a younger, more-fit Sammo Hung type… Get Chan or Stephen Chow to produce, & sign original stars Kelly Hu & Arsenio (or people with their looks & talent).